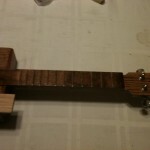 Working on a project for my Aunt who asked me to make my cousin a ukulele. 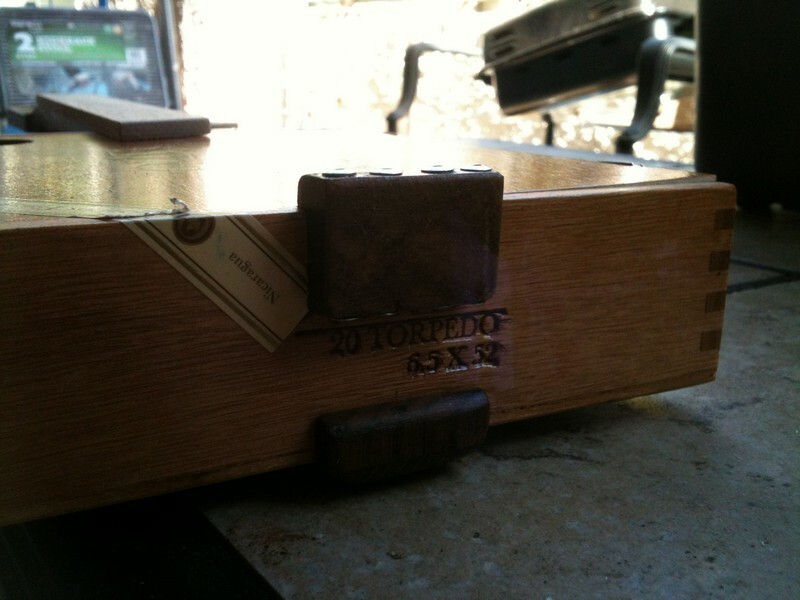 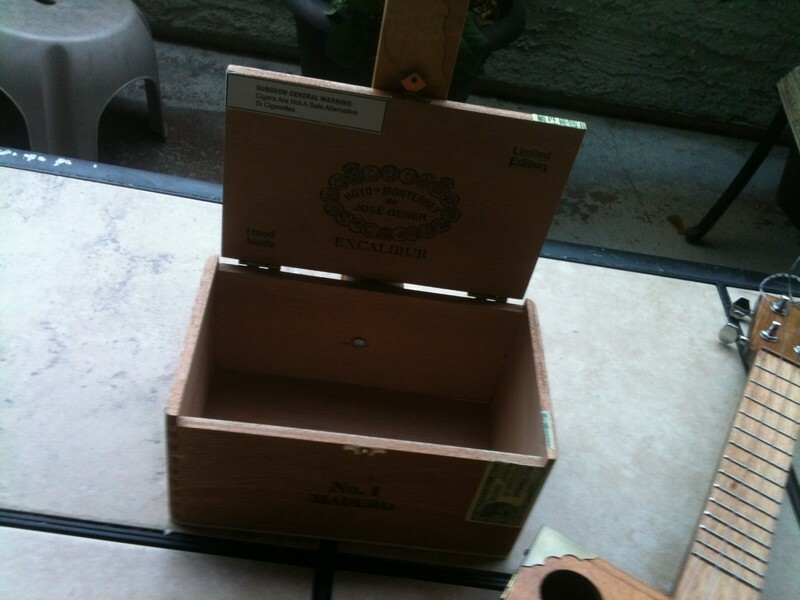 She asked me a month or so ago and I finally found a nice Oliva cigar box to use for this project. 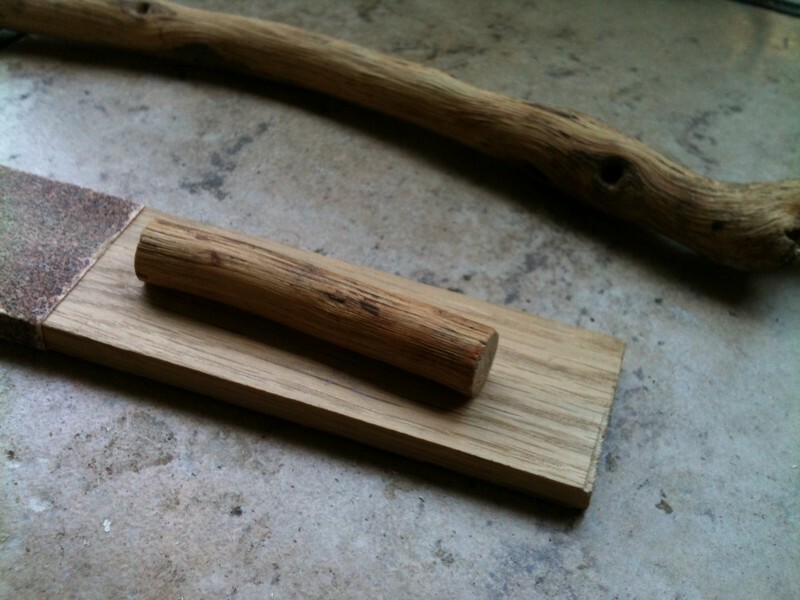 I really don’t have any extravagant power tools to work with past a couple cordless and do quite a bit using a handsaw, rasps and some wood carving tools. 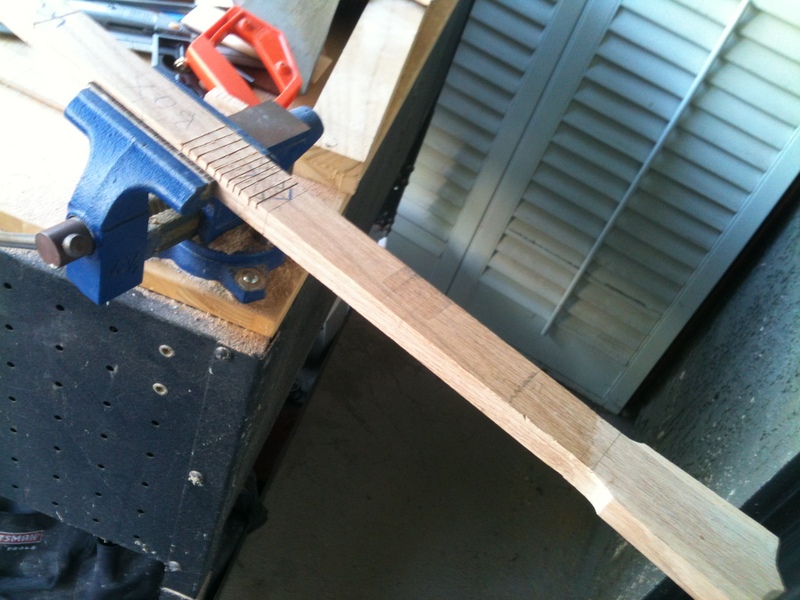 One day I’ll get a nice table scroll saw from Harbor Freight or something but right now I kind of like the manual labor that goes into making something as it is a sort of therapy really. 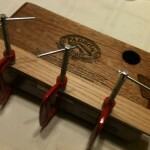 If it’s too easy then where’s the fun in that? 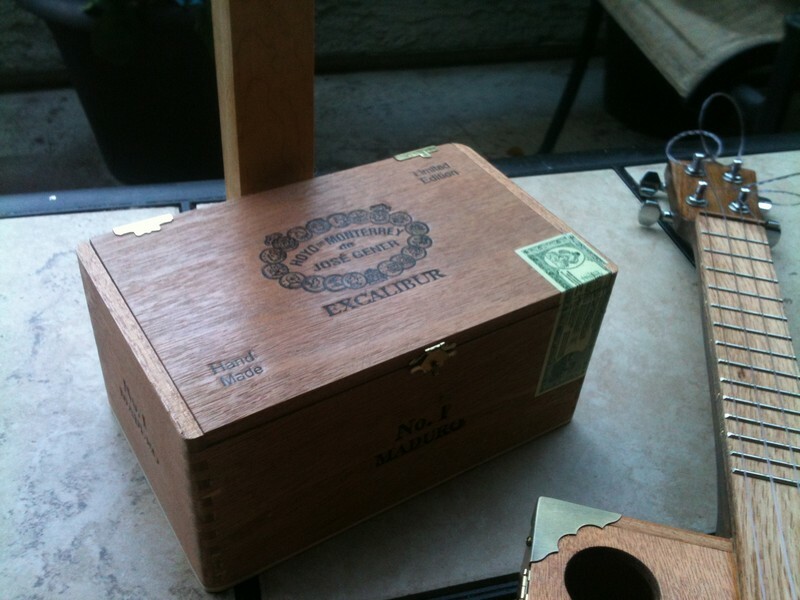 Below is my gallery of making this project from beginning to finish as well as making of a nice simple stand for it out of another cigar box I had laying around. 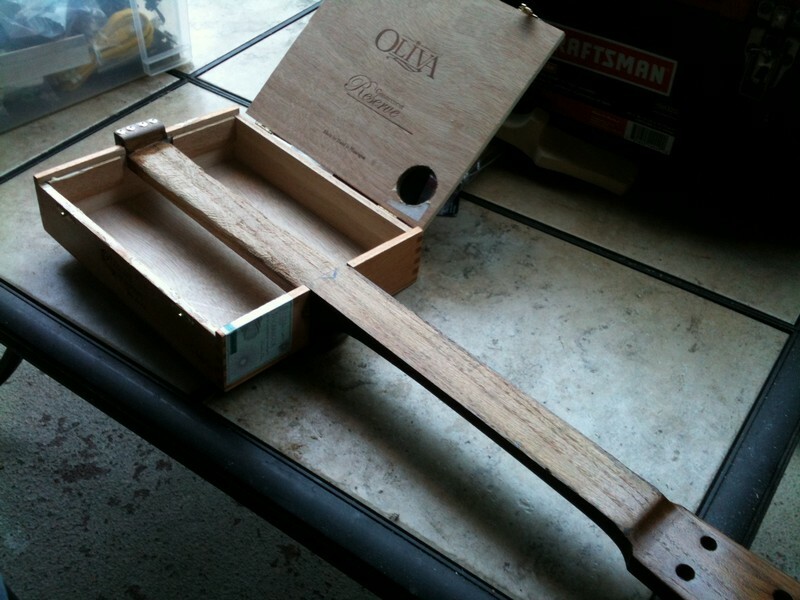 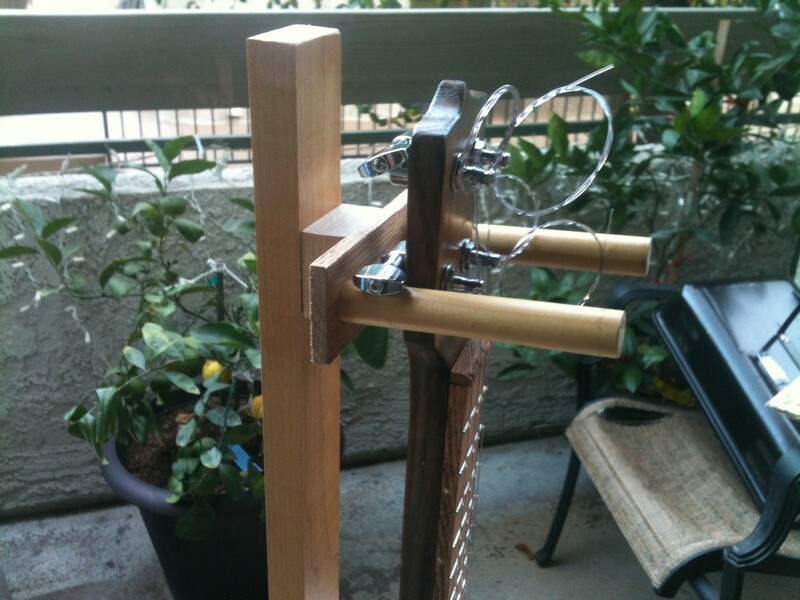 The stand is a bit nice as the it will allow for storing picks, strings and even a tuner inside of it. 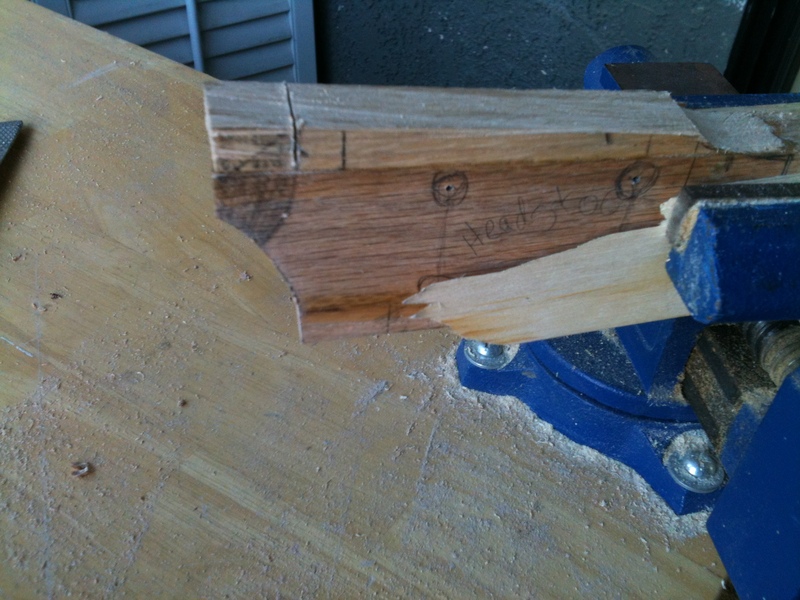 Drawing out the head-stock of the neck before cutting and where the holes will go. 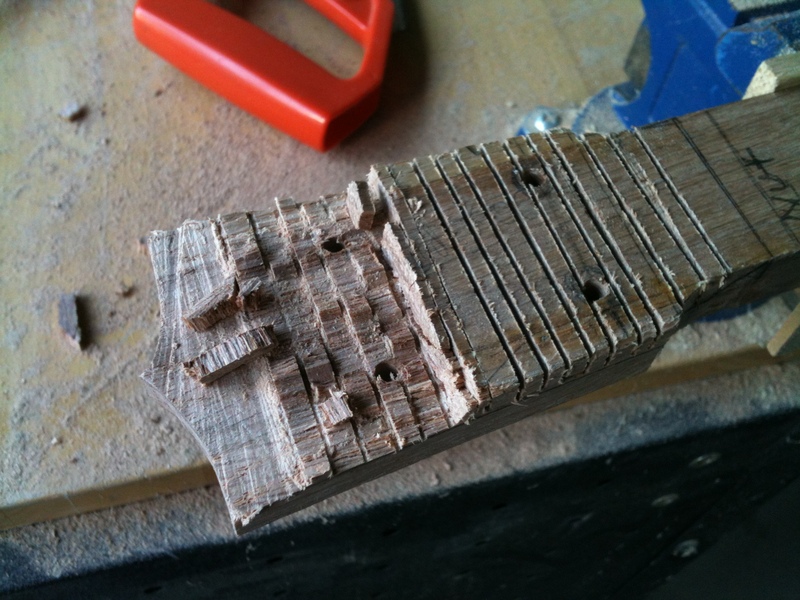 I call it gridding. 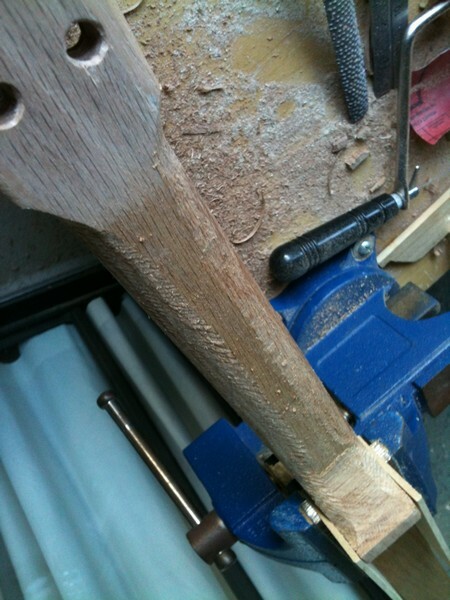 Slotting the headstock area I want to remove, breaking them, then rasping and sanding to a smottoh finish. 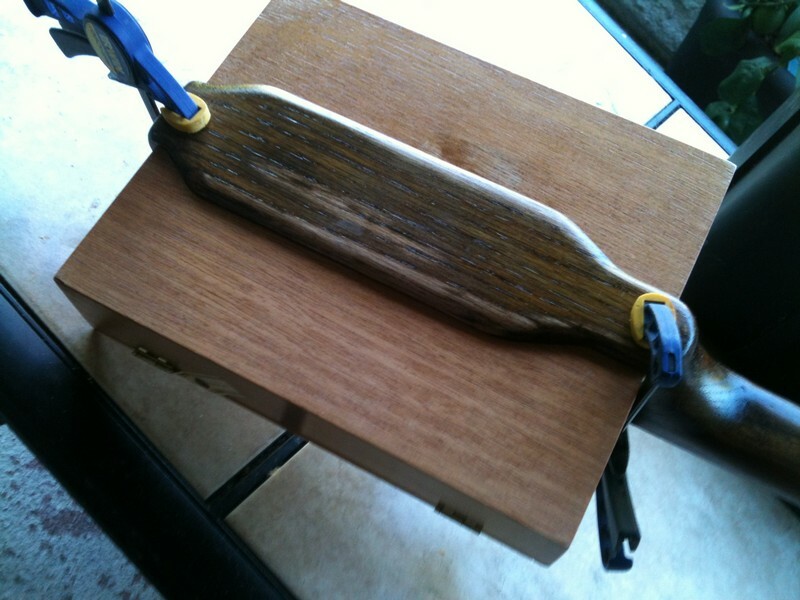 I dont have a power scroll saw so hand tools is all I have. 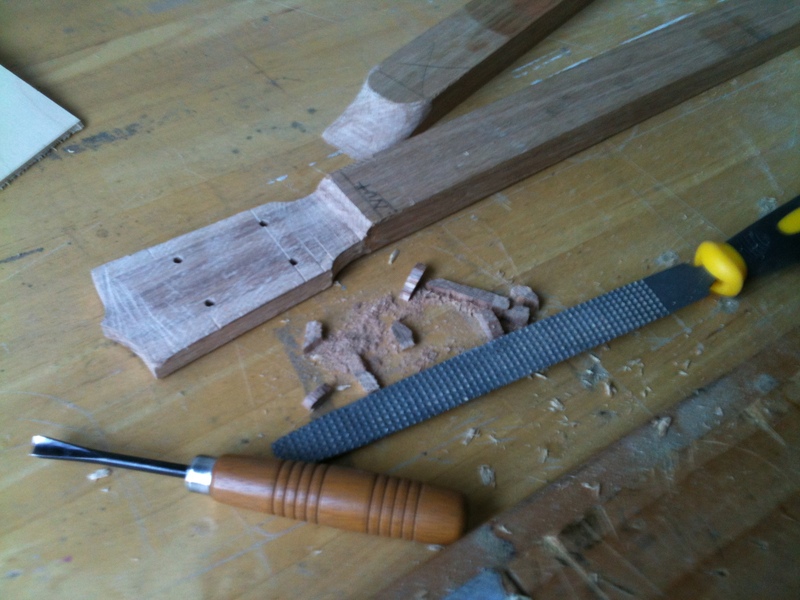 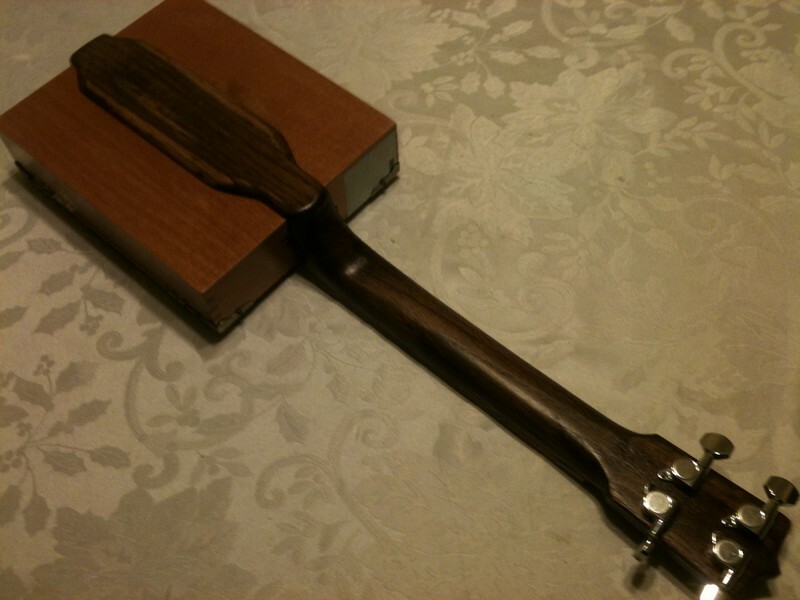 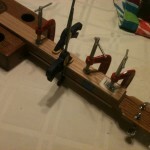 Setting the decorative wood brace onto the back of the uke where it also sets to the neck heel. 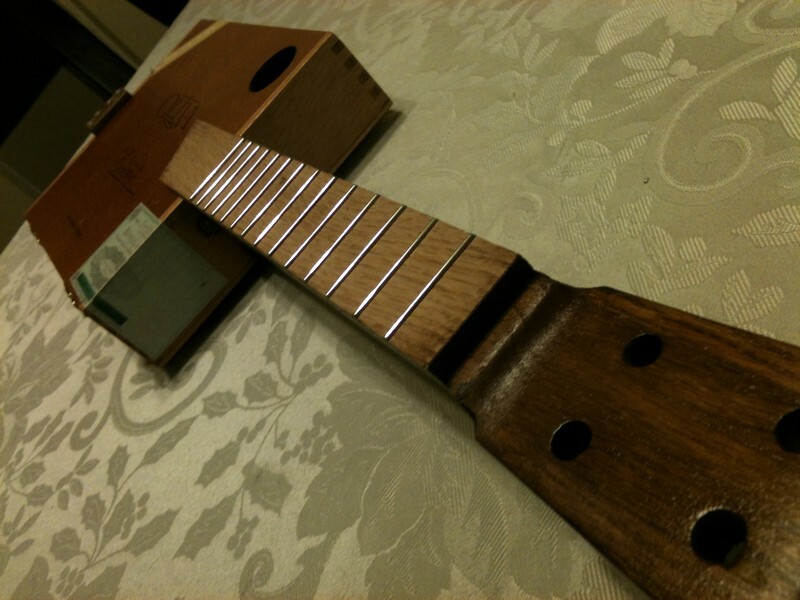 Dry fit the neck. 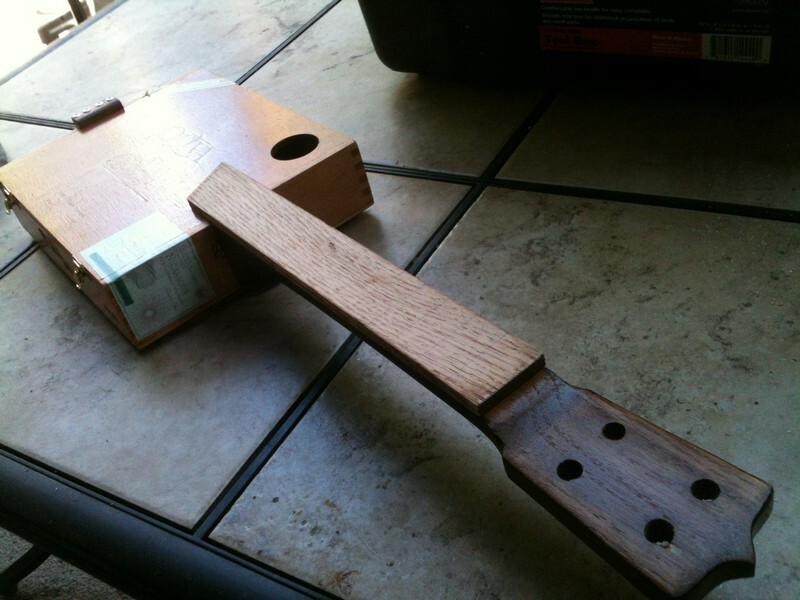 Its a neck-through, not mounted at the heal to the box. 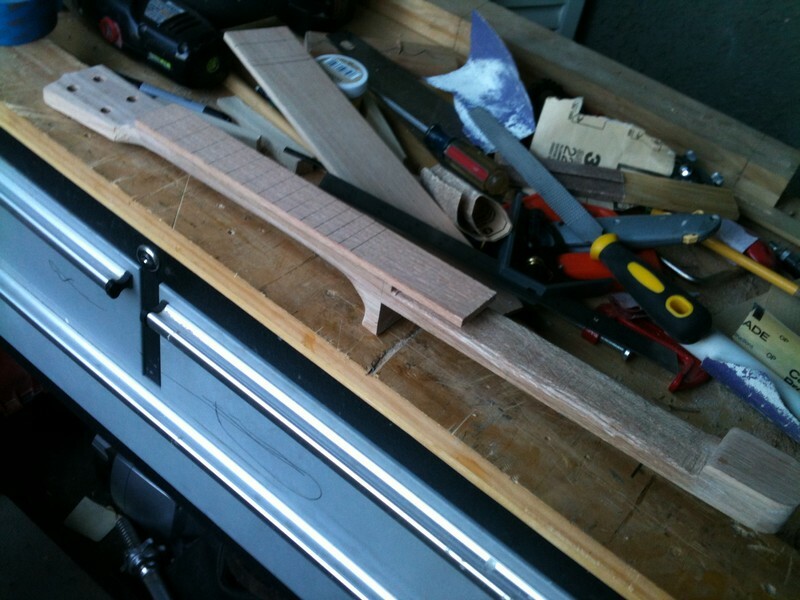 Adding the frets. 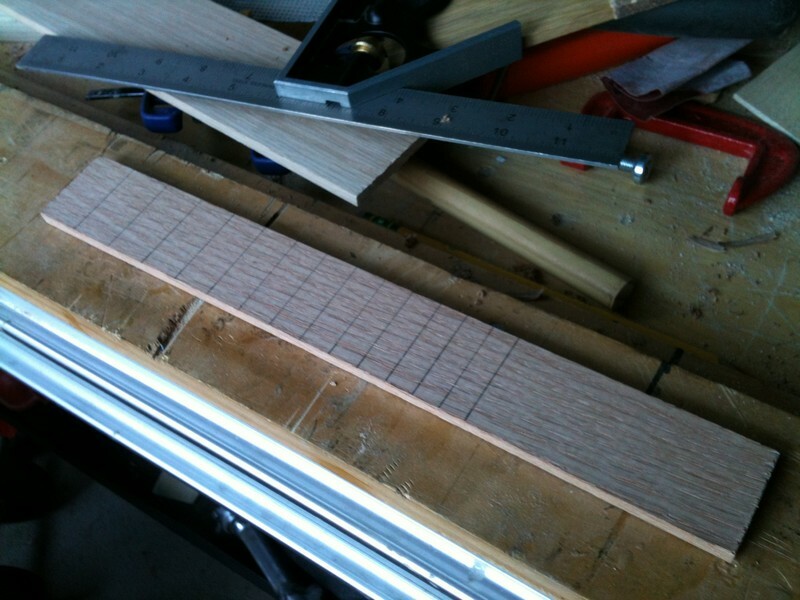 This is a concert measurement at a scale of 15 and I am using 14 frets. 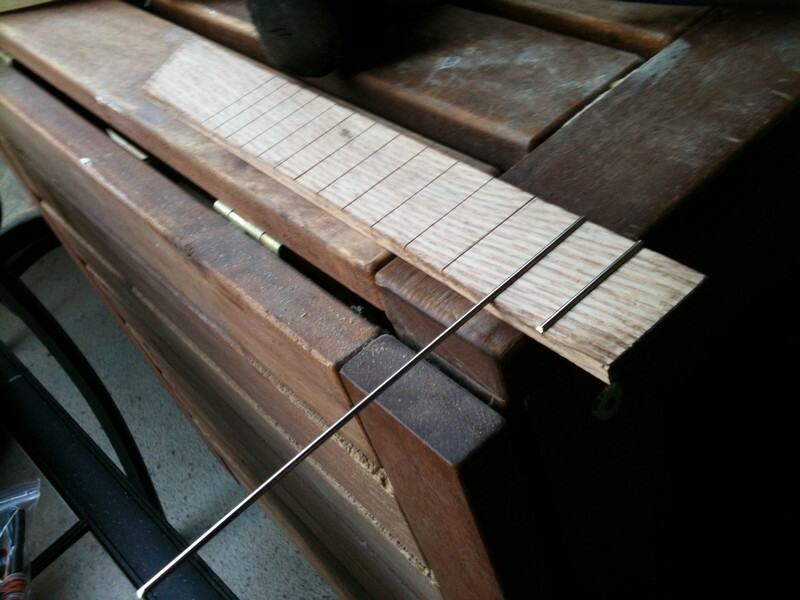 Im using a nice twig for the bridge. 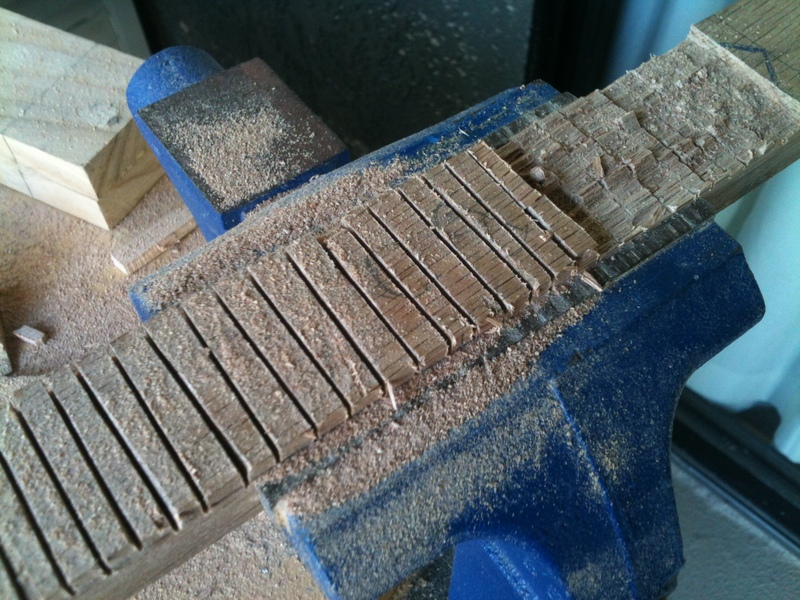 I like the feel of it but if I don't get the tone from it I want then I will replace it with a different bridge. 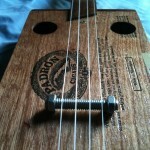 I decided try a build based off of another Ukulele builders article in BUST Magazine, Shelley Rickey, (http://shelleyrickey.blogspot.com). 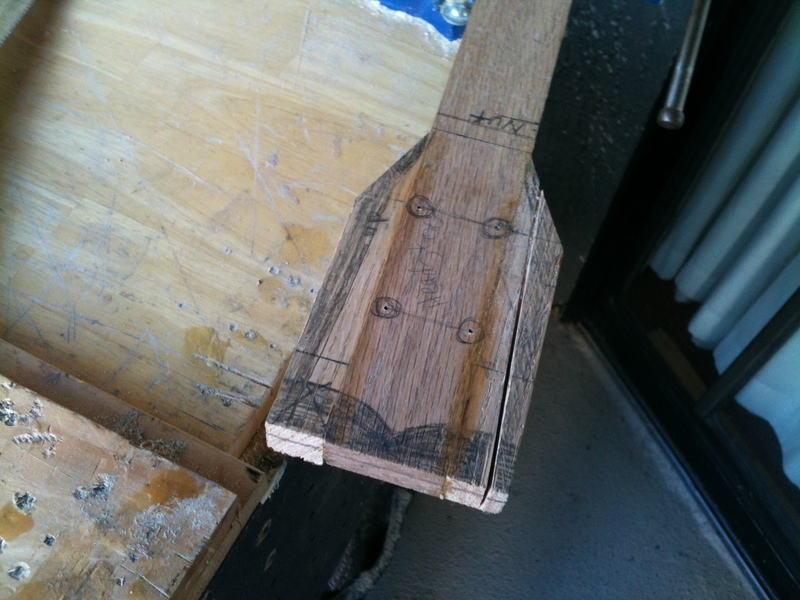 It started out looking exactly like her plans but as she hinted in her own plans, play around with the design, be creative, so I played around with design quite a bit. 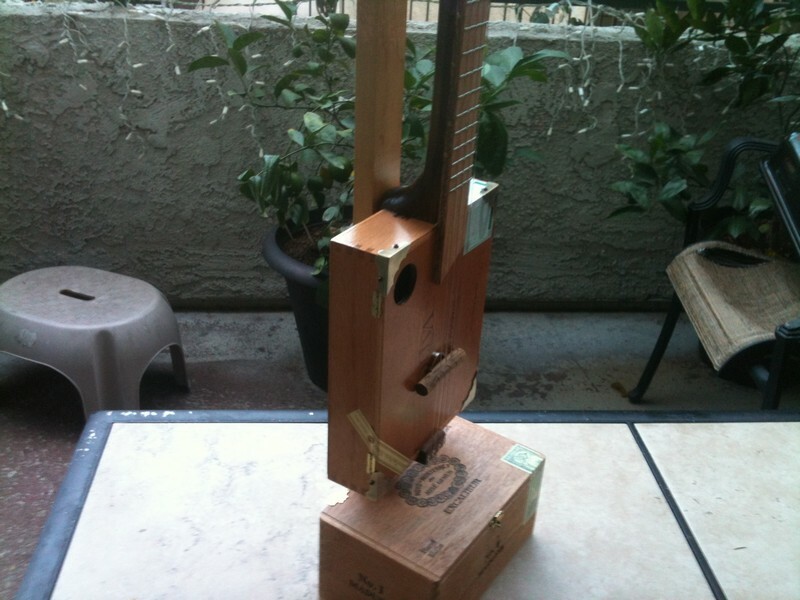 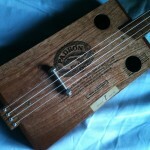 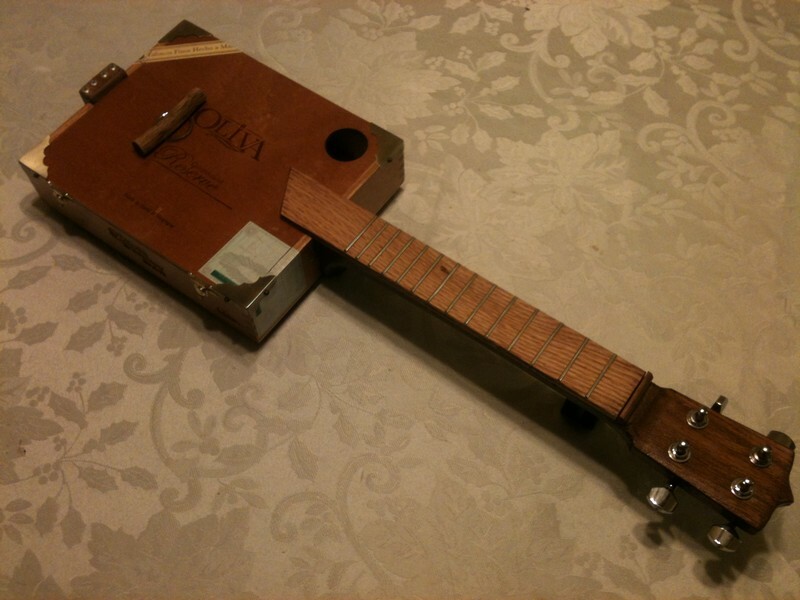 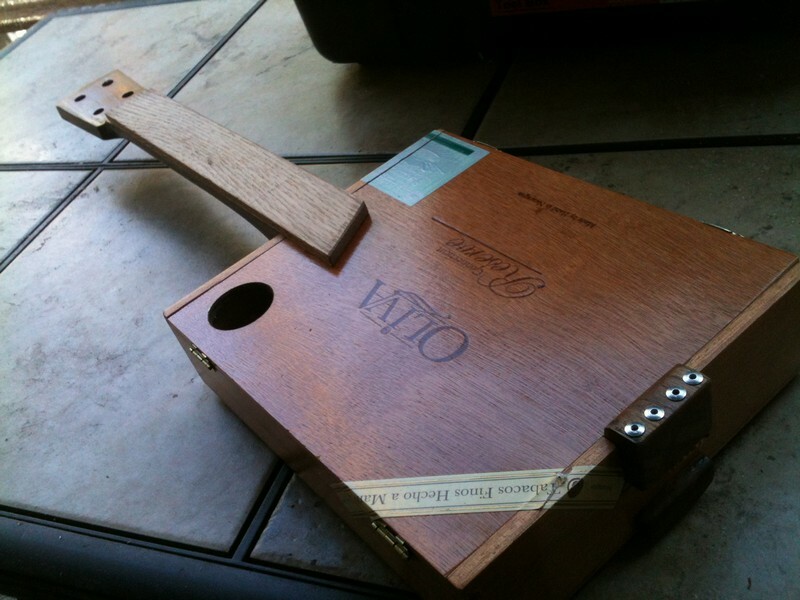 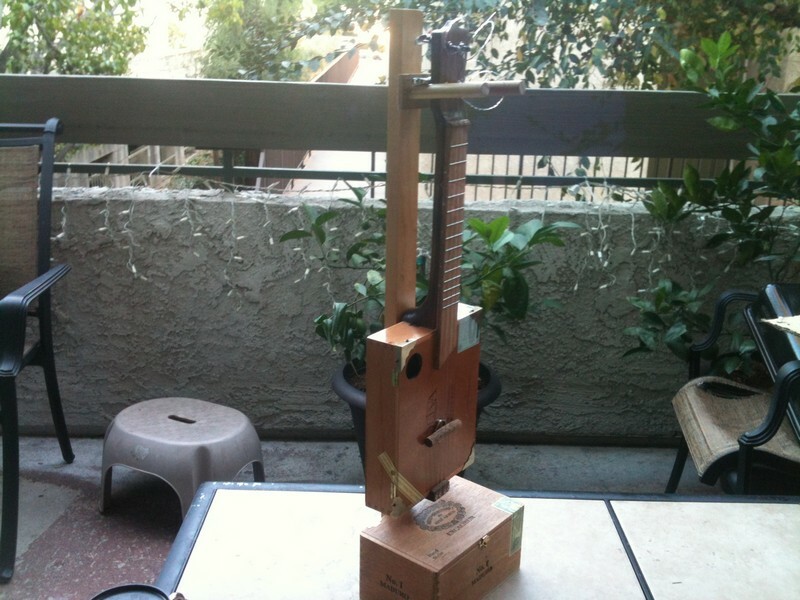 This is my second cigar box ukulele build but I’m still going to do a dead set repro of Shelley’s design when I get a chance. 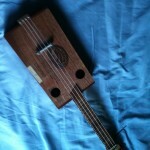 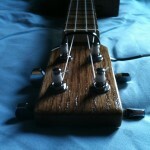 My Tenor uke sounds great!